It is a well known fact that excellent language skills are a gateway to enhance your chances to Immigration and Visa approval. In addition, they help you in earning more points for your PR Visa in Canada and Australia. But are you aware of the fact that strong language skills are also critical to embellish your post landing issues such as employability in Canada! Learning languages like English and French can further assist you in making contacts, holding healthy communications with neighbors, do well in your interviews, be a part of a community and so on. In fact, the government of Canada supports a diverse range of language classes for the new immigrants, out of which some are even provided at minimal costs. In addition, a new language program called “Language Instruction for Newcomers to Canada” is designed to enhance the language skills of newcomers along with providing other levels of instructions in various educational and private institutions all over the country. 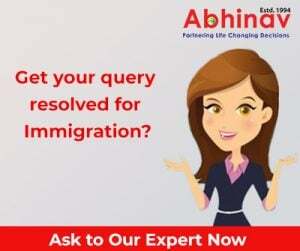 Even you get a lot of information on your immigration to Canada when you hire an experienced immigration and visa expert. Because they are well versed with everything related to immigration and they obviously won’t do anything which would ruin your immigration visa application. So if you are one of those who is planning to immigrate to Canada, the first thing that you need to do is gain proficiency in your language skills and hire an experienced Immigration and Visa expert for a smooth procedure! Jobless Allowance in the USA!